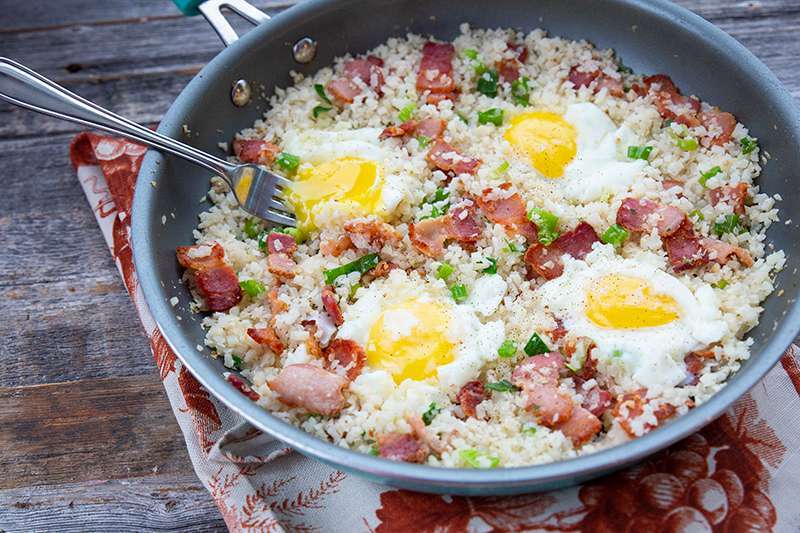 If you are looking to up your vegetable intake first thing in the morning, this Bacon and Egg Breakfast Cauliflower Fried Rice Recipe is going to be THE trick! You won’t even care that this dish is almost pure vegetable, it tastes SO good you’re going to chow down like royalty for breakfast! Cauliflower fried rice is the best trick for cutting out carbs in your diet. If *I* don’t care that I am eating pure vegetables instead of pure starch, then it is a trick worthy of trying. While cauliflower fried rice doesn’t have the same consistency as white rice does, trust me when I tell you that you actually start to prefer it. I don’t miss the stickiness of rice, or the bloated feeling after you eat it sometimes. The riced cauliflower is very mild tasting so just like normal starched rice, it takes on the flavours of the dish you are making. This cauiflower fried rice is the perfect keto breakfast and also low carb. Yes, those are two different things, so let me outline how this breakfast works for each diet. Keto Breakfast – Use bacon for the fat and make sure to use the sesame seed oil as well. This makes it high fat, low carb and protein for your day. Low Carb – A lot of people are mistaken that low carb always means high fat. Keto diets happen to be low carb with high fat, but low carb diets are just that – low carb, with no intent of eating high fat for fuel. If you aren’t eating Keto/high fat, use turkey bacon in this recipe to reduce the fat content of it. You can then simply fry the rice in only the sesame seed oil for flavour. This has completely changed our breakfast game. Karlynn had actually bought too many bags of riced cauliflower ( we buy Green Giant Frozen and it works like a charm) and decided that we were going to eat it for breakfast. 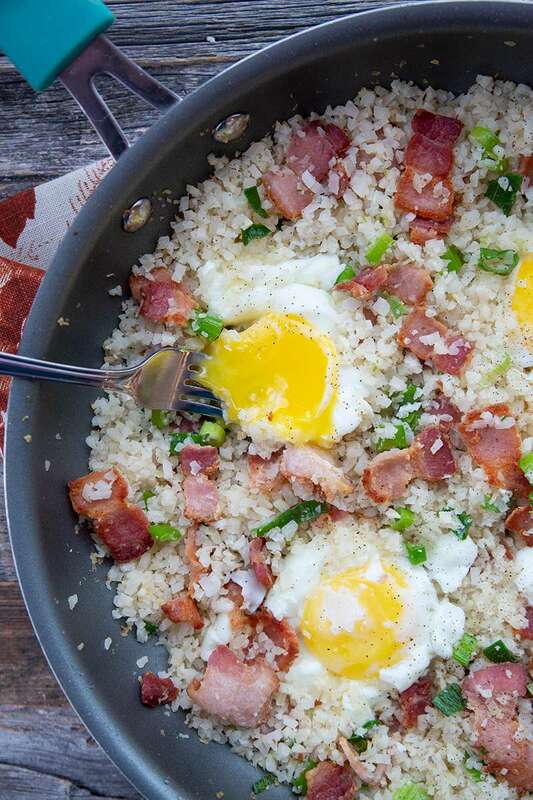 We’ve made regular egg fried rice for breakfast, so why not cauliflower and add in some bacon for a treat? Happy low carbing, make sure you give this a try on the weekend! This recipe serves four people, but you can adjust the amount of eggs per person if you want to add more protein to the dish. This is one egg per person, with a cup of fried rice mixture basically. Don’t Forget to PIN THIS RECIPE to your LOW CARB RECIPES board and remember to FOLLOW ME ON PINTEREST! 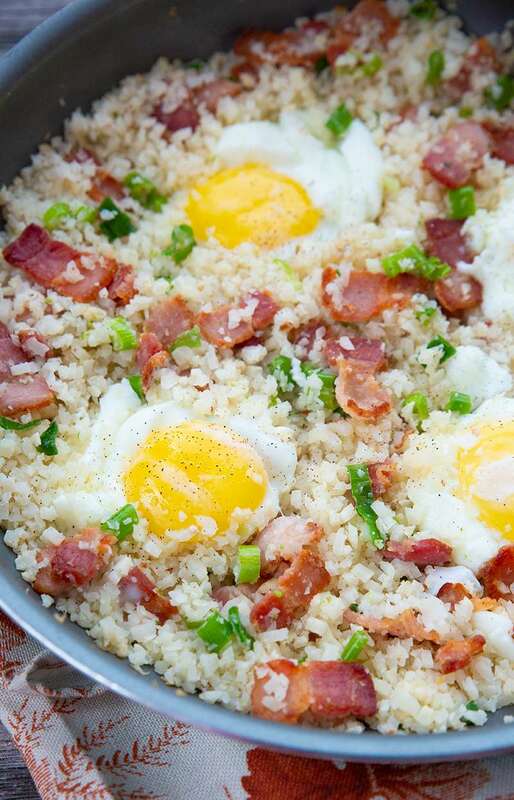 Up your vegetable intake first thing in the morning with this fast & delicious Keto/Low Carb Bacon and Egg Breakfast Cauliflower Fried Rice Recipe! Add in the sesame oil then the riced cauliflower and fry for 2-3 minutes on medium high heat. Stir in the green onion. Make round divets for the eggs in the cauliflower mixture and crack an egg into each one. Place the lid on top, turn the heat down to medium and cook the eggs for 3-4 minutes, depending on how well you like them done. Remove the lid once the eggs are done and serve. Alternatively you can cook the eggs in a poacher and place them on top, the choice is up to you as to how you like your eggs done. 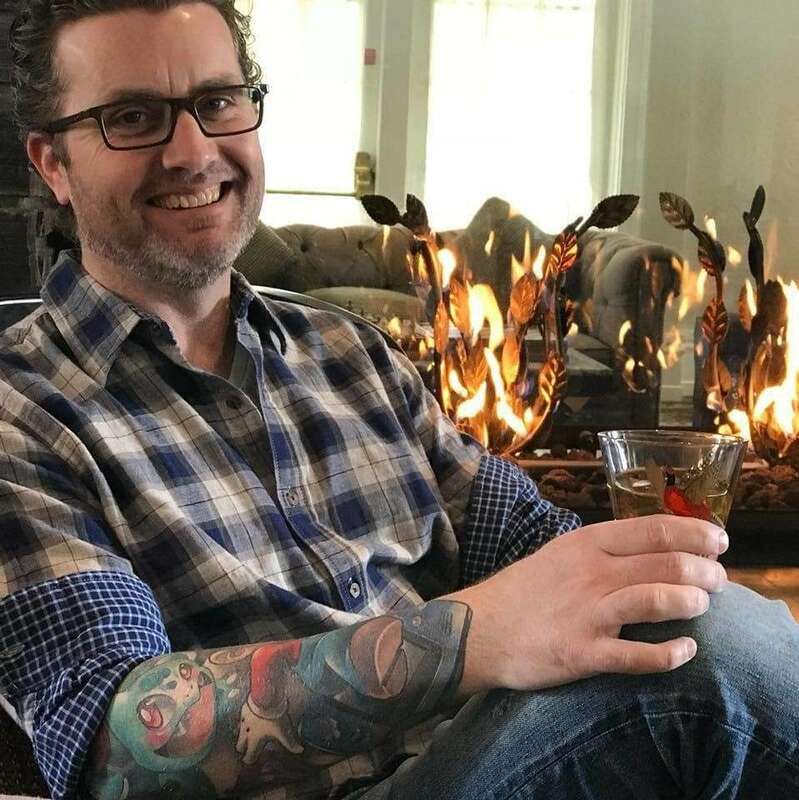 Good day Michael. Would you please let me what the serving size is for the riced cauliflower recipe. It looks delicious. A typical cereal bowl basically. It serves up to 4 people. Enjoy! I made this for lunch today. Delicious! !